Air reveals black cherry and blackberry flavors wrapped in toasty oak in this rich, polished red, supported by dense, muscular tannins. 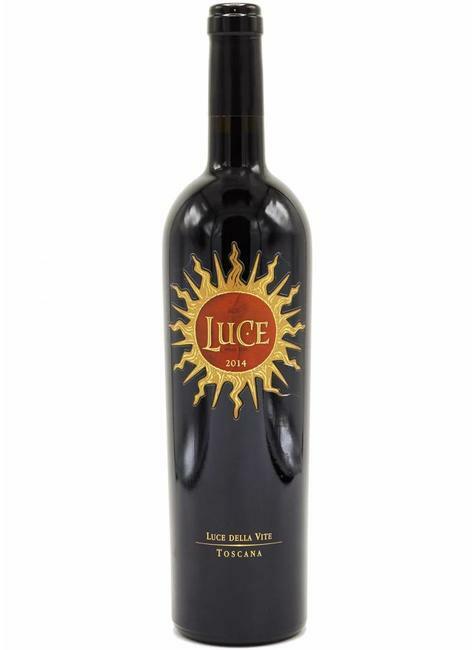 Luce is the result of a project launched in the early 1990s, the fruit of a dream of two leaders in the history of wine, Vittorio Frescobaldi and Robert Mondavi. Their common goal was to unite together their individual passionate commitments and their own personal traditions, in order to offer the world a truly exceptional, utterly different wine, grown in the heart of Montalcino. Their sons, Lamberto and Tim, at that time both young winemakers, were the ones who brought into reality their fathers’ vision, uniting together in a magisterial blend, Sangiovese and Merlot, a wine that was given the name Luce, as tribute to an element essential for the flourishing of every new being. The first two vintages, 1993 and 1994, were released together, in 1997, and aroused enormous interest, fascinated by the innovative character that was the hallmark of this project. But that was just the beginning, and any uncertainty engendered by the arrival on stage of an unexpected new actor quickly gave way to appreciation for the new wine’s indubitable quality. Year after year, Luce succeeded in crafting an expression that was uniquely individual to each growing season. Beginning with the 2004 vintage, the direction of Luce was entrusted solely to Lamberto Frescobaldi.